Gary Klein, President of Gary Klein & Associates has been intimately involved in energy efficiency and renewable energy since 1974. One fifth of his career was spent in the Kingdom of Lesotho, the rest in the United States. Mr. Klein has a passion for hot water: getting into it, getting out of it and efficiently delivering it to meet customers' needs. 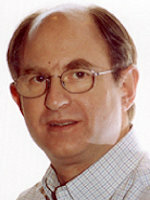 After serving 19 years with the California Energy Commission, he has provided consulting on sustainability since 2008. Mr. Klein received a BA from Cornell University in 1975 with an Independent Major in Technology and Society with an emphasis on energy conservation and renewable energy.